As students at over fifty American universities, we unequivocally condemn the abuse of grand jury subpoenas to chill the exercise of First Amendment rights by university students and anti-war activists speaking and organizing against Israelâ€™s continued oppression of the Palestinian people. Since September 24, 2010, the F.B.I. has served at least 24 grand jury subpoenas on students and activists in a secret investigation that many have called a witch-hunt. We call upon Attorney General Eric Holder and United States Attorney Patrick Fitzgerald to respect the civil rights and free speech of all those who support the Palestinian struggle for freedom by immediately withdrawing grand jury subpoenas which threaten the First Amendment rights of students and activists around the country. The governmentâ€™s assault on organizations and individuals who support the Palestinian struggle for freedom has become increasingly authoritarian. The abuse of laws criminalizing â€œmaterial support for terrorismâ€ is unprecedented and, had they been implemented at the time of South African apartheid, would have effectively criminalized broad American support for the anti-apartheid movement. At the apparent behest of US Attorney Patrick Fitzgerald, the government today has cast a net so wide that it has entangled journalists, college students, and peace activists. We know that a campaign so indiscriminate will seriously impinge on the First Amendment and other civil rights of people living in the United States. This will, in particular, affect active and outspoken students on university campuses, especially those of Palestinian descent. It is not only our right but also our moral duty to speak and act against American foreign policy and its destructive impact on innocent people around the world. Today, America unfortunately stands behind Israelâ€™s oppression of the Palestinian people with money, weaponry, and diplomatic support. We seek to reverse this situation so that American foreign policy stands on the side of people who work towards justice. We reject the governmentâ€™s efforts to isolate the Palestinian people by severing them from their non-violent supporters abroad. Therefore we stand in solidarity with the victims of our governmentâ€™s campaign both in America and around the globe. If Attorney Fitzgeraldâ€™s campaign marks the morning of a new day, then we are certain of what awaits us in the night. Like Baldwin before us, we live in an age in which silence is not only criminal but suicidal â€“ we shall, therefore, make as much noise as we can. UNITED STATES (October 17, 2010) â€“ Representing campus organizations at over 60 campuses around the country, university students promoting Palestinian freedom have responded to a vilifying report by the Anti-Defamation League (ADL) listing â€œStudents for Justice in Palestineâ€ (SJP) and a variety of other American organizations as the â€œTop 10 Anti-Israel Groups in America.â€Â The report was released the same day the ADL honored Rupert Murdoch, the media mogul who owns Fox News Network. ASUâ€™s Study Abroad Office announced an Israel study abroad program in conjunction with Ben-Gurion University last month. However, a partnership with BGU also means inadvertently cooperating with its controversial apartheid policies. Perhaps the administrators didnâ€™t know of BGUâ€™s reputation of discriminatory procedures, or they simply brushed it off. Regardless, the name of ASU does not need to be mixed with a university that supports prejudice and racist policies. The concept of â€œtransferringâ€ European Jews to Palestine and then â€œtransferringâ€ Palestinians out is central to Zionism. The â€œLaw of Returnâ€ helps grant a right of immigration to Jews born anywhere in the world. This is coupled with â€œAbsentee Property Lawâ€ that classifies the personal property of Palestinians as â€œabsentee propertyâ€ and places it under control of the government. There was always historic, strong solidarity between South Africans and Palestinians because of the similarities of racist laws that legalized stealing of land in South African and Palestinian territories during Apartheid. More attention came to this issue when a delegation of South African Veterans of the anti-apartheid struggle was sent to the West Bank in 2008. They agreeably concluded that restrictions endured by Palestinians in the Israeli-occupied territories were worse than those imposed on the black majority under white rule in South Africa. A South African campaign initiated at the prestigious University of Johannesburg to cut off academic links with Ben-Gurion University is currently gaining momentum. The apartheid Israeli occupation of the Palestinian territories has had disastrous effects on access to education for Palestinians, which leads to more immobilization, poverty, gendered violence, harassment and humiliation. The racist divide put between â€œwhiteâ€ and â€œblackâ€ Jews officially exist in state decisions. Several months ago, a religious school in the illegal Israeli settlement of Immanuel was approved funding by the Israeli Education Ministry for segregating white Jewish students from non-white Jewish students in classes. Israel has also explicitly mounted direct attacks on Palestinian educational institutions, with complete closures of Hebron University and the targeting and bombing of more than 60 schools during the attacks on Gaza in 2009. Meanwhile, BGU maintained structural support for the Israeli occupation by offering scholarships and extra tuition to students who served in active combat units during those attacks. The assault on Gaza in 2009 resulted in the death of 1,400 Palestinians in acts described by Judge Richard Goldstone as war crimes. 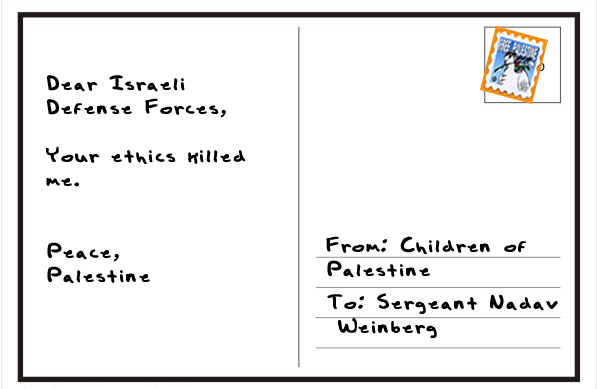 The majority of those killed were children and women that died because of indiscriminate Israeli shooting. The U.N. Office of the High Commissioner for Human Rights released a report detailing how Palestinian applicants are three times more likely to be rejected by Israeli academic institutions, including BGU, than Jewish applicants. While Palestinian citizens of Israel constitute more than 20 percent of the countryâ€™s population, only a mere 1 percent of the academic staff in Israeli academic institutions are Palestinian. In regards to academic freedom, BGU has been condemned for disciplining academic staff, such as Professor Neve Gordon, for supporting the non-violent demonstrations. It also went to the extent of maintaining obstacles that prevent students from mounting legal political demonstrations on campus. 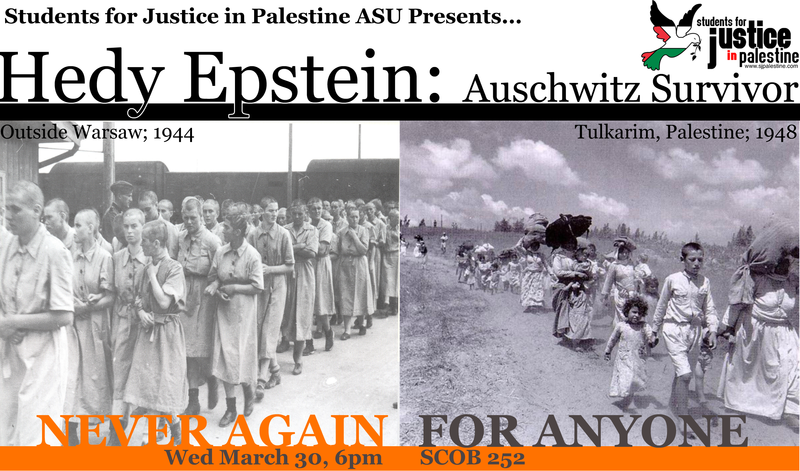 At ASU we donâ€™t criminalize political dissent, nor do we support racist and discriminatory policies against Palestinians, Ethiopian Jews, non-Jews or anyone. But our cooperation with such a university sends the wrong message about policies that go against our values. I call for a review of this decision and urge administrators to disband academic connections with Ben-Gurion University for its lack of respect for human rights and dignity. Danielle Back had read about the Palestinian/Israeli conflict and studied the history of that region of the world. This summer she had a chance to experience what was happening there firsthand. Back, a junior at Arizona State University spent three weeks in Israel, the West Bank and Gaza, as part of a delegation organized by Interfaith Peace-Builders and the American Friends Service Committee. The delegation met with Israeli and Palestinian groups representing a wide cross-section of both societies. She said her trip helped make the things she had read or heard about seem real. Back, who spent much of her childhood in Chandler, has no real ties to the Middle East. She said her interest in the Palestinian cause has grown out of studying the U.S. government and its influence in world affairs. She’s a member of the Barrett Honors College at ASU and is majoring in economics while pursuing a certificate in Arabic studies. Her first trip to an Arabic country was in summer 2009 when she traveled to Morocco to study the language on a scholarship from the U.S. State Department and the Council of American Overseas Research Centers. While Back’s sympathies lie more closely with the Palestinian point of view, she said the trip also allowed her to see the Israeli side of the conflict more clearly. Back said the difference in resources available to the Israeli government – due at least in part to the support of the United States – made it hard for the two sides to negotiate on an equal level. Back said they learned of issues such as home evictions in the Palestinian community and the fear Israelis have of rocket attacks. A ship carrying women activists who hoped to deliver aid to Palestinians through the Israeli blockade along the Gaza Strip will no longer travel to Cyprus from Lebanon, effective Sunday, according to a Saturday report fromÂ Reuters. To some, this may seem like just another grievance to add to the long list of ills caused by the Gaza blockade, but maybe itâ€™s time for people to see a different side of the story â€” one barely covered by U.S. media. Beyond the occupation of Palestine since 1967, Israel imposed an unyielding blockade in 2007 meant to cut off the Palestinian-occupied Gaza Strip. Three years have passed, and the blockade has evolved into a man-made humanitarian disaster. In large part, the U.S. government and media have turned a blind eye to the situation. But, according to the United Nations High Commissioner for Human Rights, Navi Pillay, the blockade violates all standards of international humanitarian laws and must be lifted. The blockade does nothing to â€œsecureâ€ Israel, as denying access to food and medical supplies will only expand the rift between Palestinians and Israelis. However, both sides accepted the Obama administrationâ€™s invitation to begin a peace talk two weeks from last Saturday, Israel still controls all of Gazaâ€™s borders, airspace and the freedom of movement, goods and thus the economy. In the Palestinian parliamentary elections of 2006, the Hamas political party won the majority of seats. When it assumed power the next month Israel, the US and the European Union refused to recognize the partyâ€™s right to govern. Hamas and other factions decided that if Israel broke the six-month cease-fire after Obamaâ€™s election, they wouldnâ€™t recognize the authority given by the people, nor let Gaza live, the use of force was its only way of expressing resistance. So Hamas created homemade, uncontrollable rockets from available scrap metal. There was no comparison between the unprofessional Palestinian military, armed with unsophisticated weaponry, and Israel, whose army is equipped with F-16s from the U.S. and other supplies manufactured by numerous companies such as Micro Electronics and Motorola, in Arizona that produce defense-based electronics via military contracts. The world must accept that Hamas won in clean elections with EUâ€™s monitoring. But our reaction was immobilizing by allowing Israel to impose a crippling blockade in response. President George W. Bush justified the blockade by saying, â€œIsrael has the right to protect itself.â€ Then, shortly after, America armed Hamasâ€™ political rival to conduct a coup against elected Gazan officials while Israel arrested parliamentarians. The important question is: are Palestinians entitled to the same basic human rights as other ethnic groups suffering displacement or discrimination? These rights Â include the freedom of movement, access to food and the right to shelter oneâ€™s family. But how is the public supposed to be educated about these injustices if the U.S. media coverage reflects the U.S. political obligations? According to national media watch group Fairness and Accuracy In Reporting, â€œU.S. corporate media coverage of the Israeli military attacksâ€¦has overwhelmingly failed to mention that indiscriminate attacks on civilian targets are illegal under international humanitarian lawâ€ after attacks in 2008. Only the Israeli narrative was conveyed in media, with information including: â€œIsrael is being attacked using unprovoked rockets by Hamas the â€˜terroristâ€™ organization.â€ Â There was no mention that the majority of rockets were shot after Israel and the U.S. rejected the democratic process in Gaza or that Israel has broken more than 50 U.N. resolutions, conducted a humanitarianly illegal blockade against an entire population, killed 1,400 people and did not allow international media into Gaza during the Operation Cast Lead attack in 2008. The U.N. Fact-Finding Mission on Gaza, headed by Richard Goldstone, a Jewish South African judge with strong personal ties to Israel and known for a sparring reputation in international law and human rights, concluded that Israel had used disproportionate force, targeted Palestinian civilians, using them as human shields and destroyed civilian infrastructure. As a nation, we need to make a more conscious effort to divest from companies that manufacture products aiding Israeli occupation and learn to question the holes in media coverage of the Gaza Strip. We need to open our eyes.